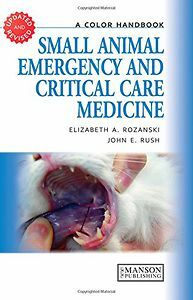 The second edition of a bestseller, this book presents essential information on common emergencies in small animals using a concise, practical outline format. A thorough update to this classic reference, the second edition provides new chapters on orthopedic injuries and wound management, significant revisions to the treatment protocols, and expanded toxicology information, as well as new references and drug information. The book retains its logical division into two parts, the first covering initial stabilization and the second offering a systems approach to specific conditions.